Apple Pay is now available in the United Kingdom starting today. The service is supported by more than 250,000 retailers, and eight major banks with more in the future. Some of those stores include British Petroleum, Costa, Boots, Dune London, JD, McDonald’s, and Subway. As of now, there’re only eight banks with Apple Play support. These banks are American Express, First Direct, HSBC, Nationwide, NatWest, Royal Bank of Scotland, Santander, and Ulster Bank. 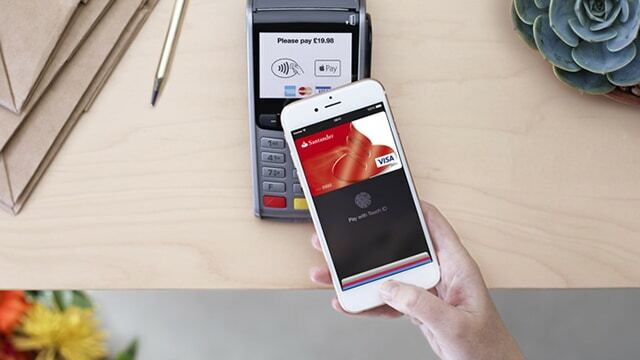 Apple says Bank of Scotland, Halifax, Lloyds Bank, M&S Bank, MBNA, and TSB should start supporting Apple Pay soon.